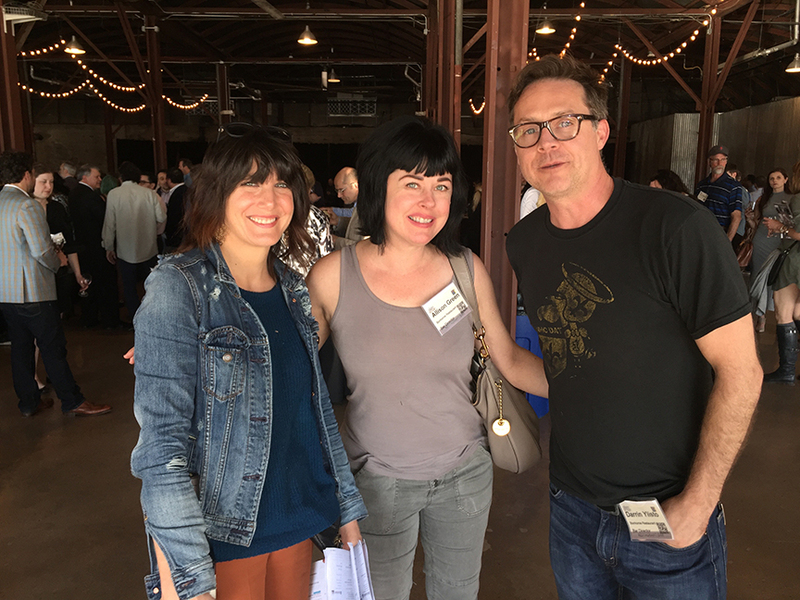 Slow Wine in Austin: how does it feel to be one of the beautiful people? 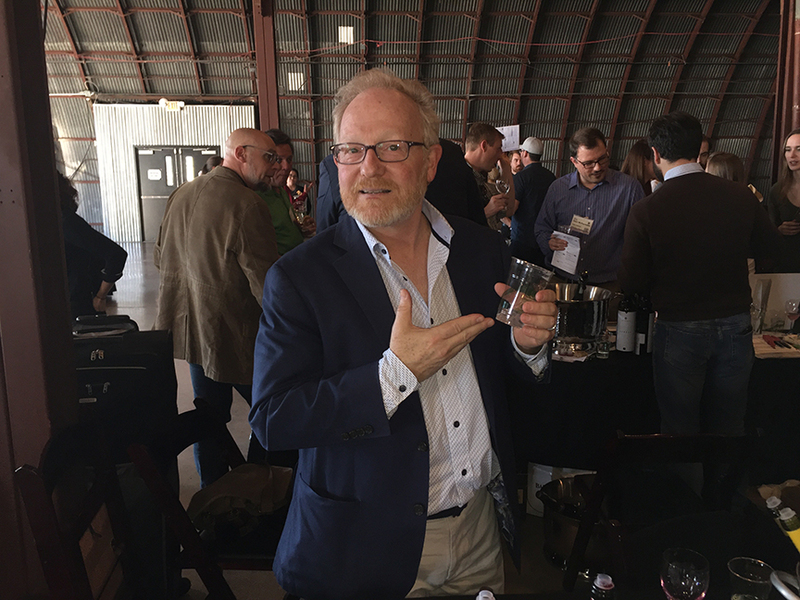 The weather couldn’t have been more perfect for the Slow Wine guide tasting in Austin, Texas this week. 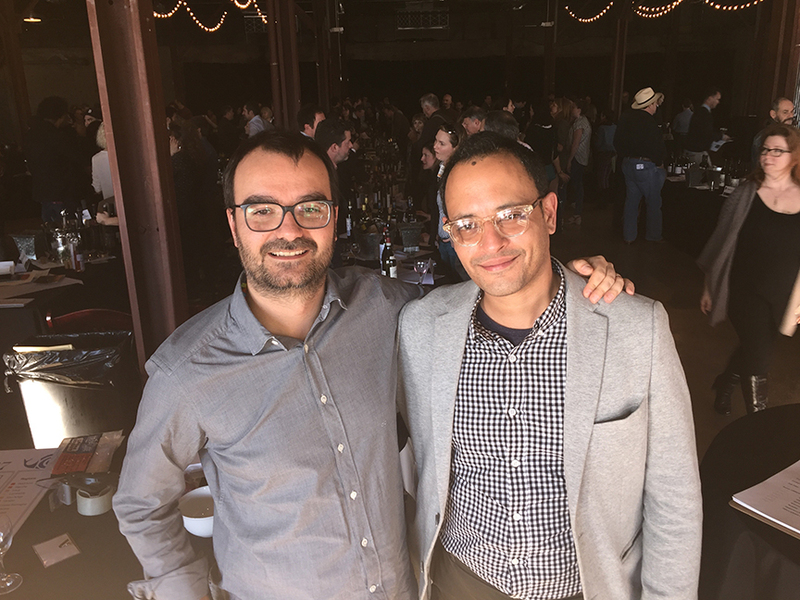 And the people — organizers, producers, and tasters — couldn’t have been nicer or more excited about this super fun gathering. I know I’ve said it many times before but I’ll say it again: when I moved to Texas more than eight years ago, I never would have imagined that top markets in our state would become “targets” for media and trade events like this. Between the Benvenuto Brunello tasting in Houston a few weeks ago (the second time the Montalcinesi have come to the Bayou City) and this one (the second time the Slow Wine cats have come to the River City), it would seem that my adoptive state and two cities I have called home are now firmly established as hubs for Italian wine in the U.S.
That’s Slow Wine guide editor Giancarlo Gariglio (left) and Houston-based wine professional Thomas Moësse (right) in the photo above. 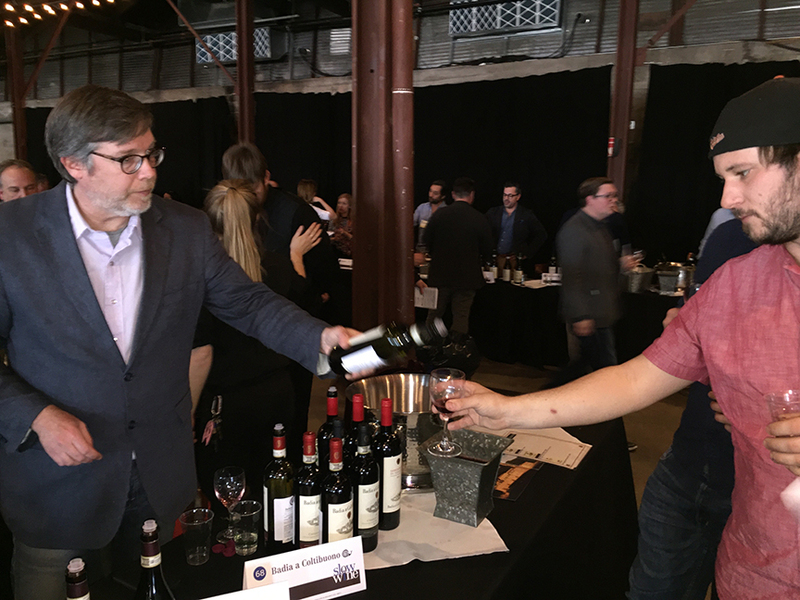 There’s talk that the Slow Wine event will come to Houston next year (don’t quote me but it looks likely). And there’s also talk that I’ll be involved in presenting next year’s gathering. I can’t spill the beans just quite yet but there’s some good stuff (and some good wine) in our future here in Space City. What a lovely day to catch up with some of my favorite people in the business. That’s Lucia Barzanò (right) of Mosnel, one of my favorite Franciacorta producers, with her husband Andrea. 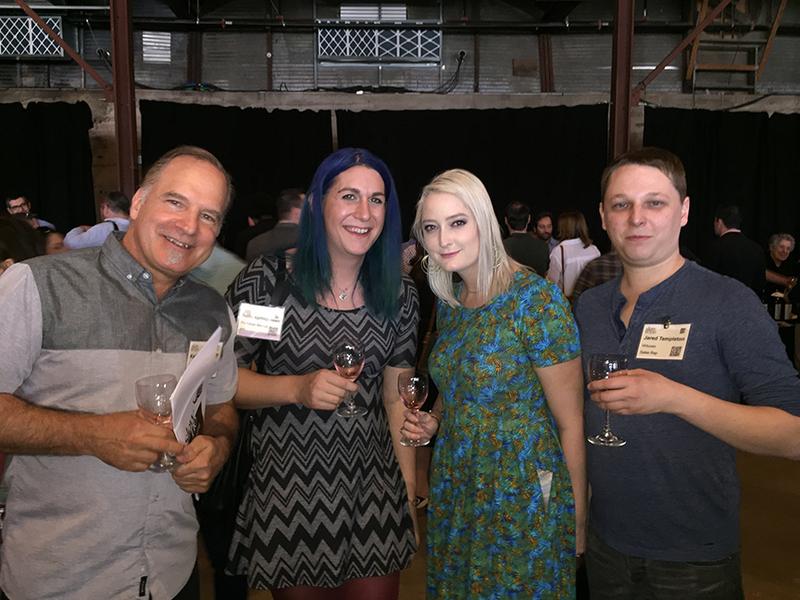 The nicest people… great wines. My good friend Silvano Brescianini of Barone Pizzini (left), another one of my favorite Franciacorta producers. And that’s Art Fristoe, one of the top keyboard players in Texas right now. Super cool cat. He ripped it up at the Elephant Room later that night. If I’m not mistaken, these nice folks work at It’s Italian Market in Austin. More nice people from Bonhomie in Austin. 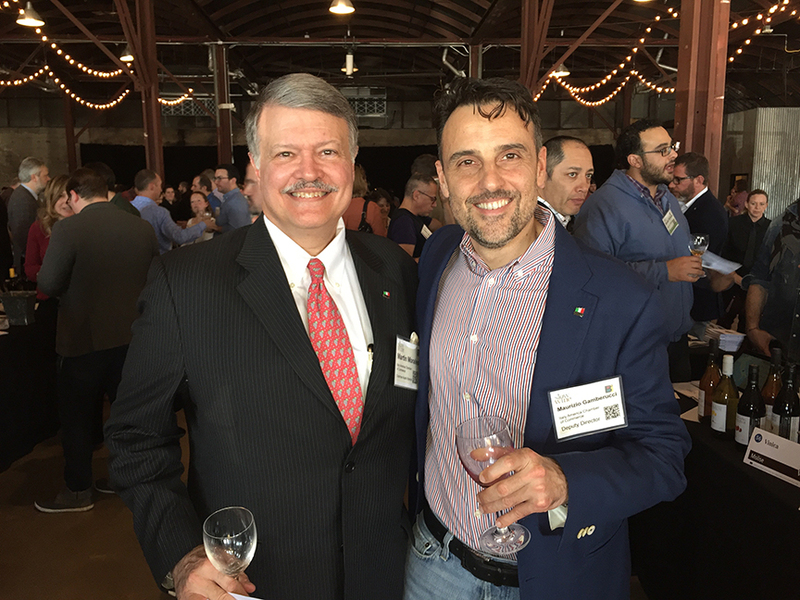 Martin Morales (left) and Maurizio Gamberucci from the Italy-America Chamber of Commerce of Texas (one of my clients). Looking sharp, guys! Jerry Reid, a top sales rep for Southern Glazer’s and another one of those good eggs in the wine trade. 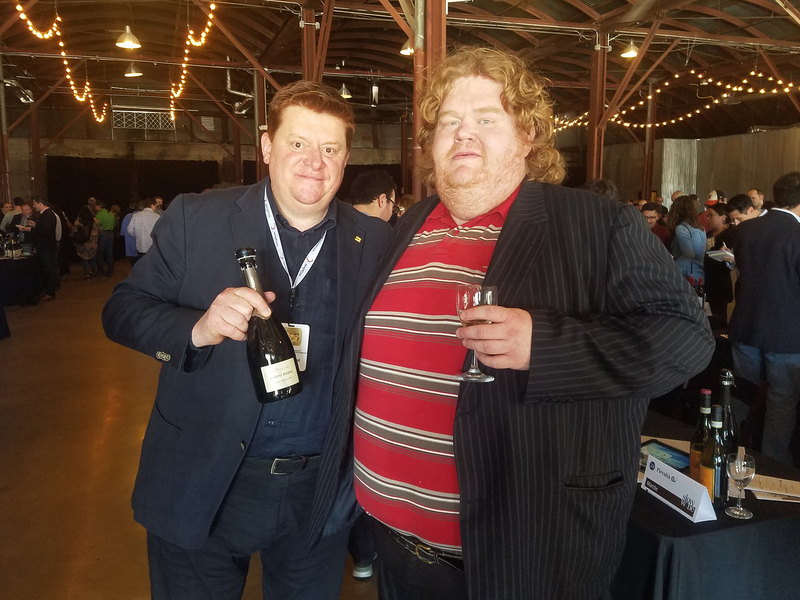 Rob Forman national sales manager for importer Dalla Terra (left), one of the hardest working people in the wine biz. Thank you to everyone who came out for the event. 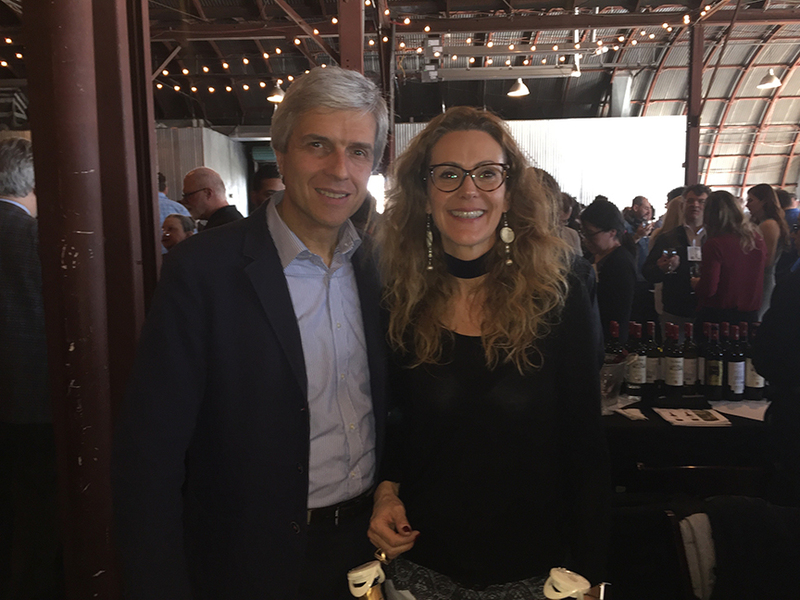 Thank you for all you do for Italian wine and the Italian wine renaissance in Texas! 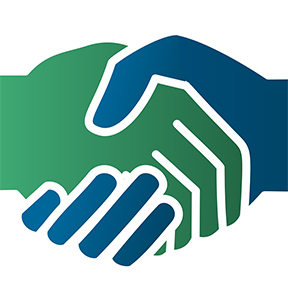 This entry was posted in de austinopoli, de vino. Bookmark the permalink.